Sock Hop Cutie Costume By: Fun Costumes for the 2015 Costume season. 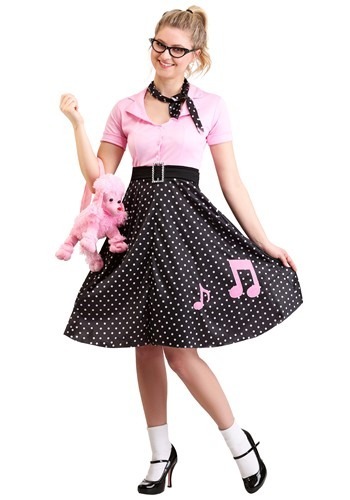 You can rock around the clock in this Sock Hop Cutie Costume! Just add bobby socks and saddle shoes for a look that's straight out of the 1950s. Our pink poodle purse adds a fun finish. Check out our men's '50s costumes for your big man on campus!